I bought this vehicle in April this year and worked on it in my spare time. The plan was to finish it completely and either use it or sell it but unfortunately I am going to have to sell it as it is, because I just don't have the time to finish it. 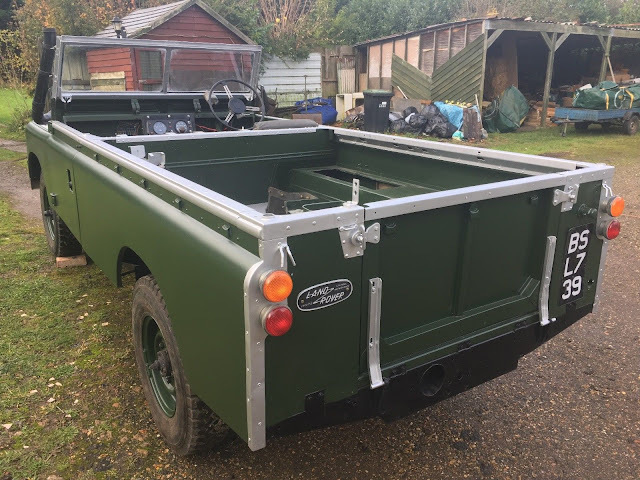 This is an ideal winter project for a Land Rover enthusiast! A lot of the hard work is already done! 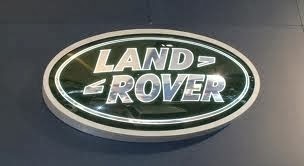 This is a solid investment as Land Rovers are going up in value! First registered on 12/07/1959 then registered for civilian use on 10/06/1999 with 4 former keepers since this date. Sadly it does not have the original engine or gearbox. 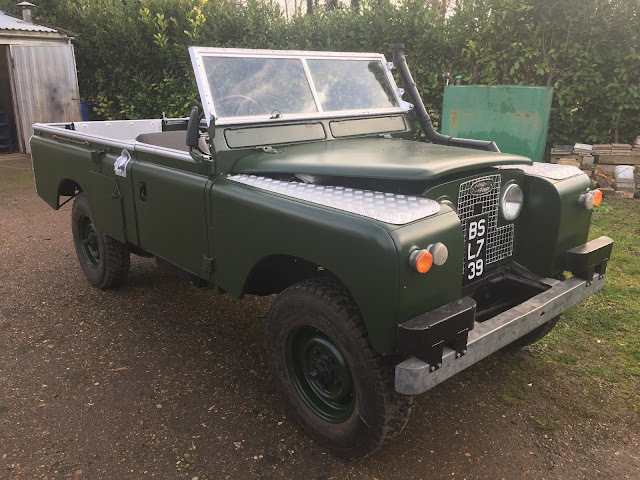 I have been told the engine is a Sherpa van 2.5 N/A Diesel (but it looks very similar to the Defender engine) with a Defender LT77 gearbox and LT230 transfer box. V5C present and in my name, chassis number also present. Bodywork is in good condition. It has had a full respray in matte Deep Bronze Green. 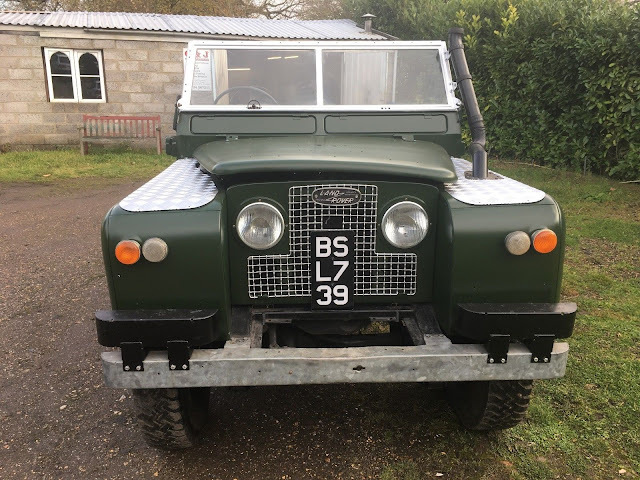 There wasn't a lot wrong with the bodywork to start with, it just had a rough paint job and the previous owner had started to sand it down but the body was straight, which is unlikely on a Land Rover! The wheels have been painted the same colour. The tyres are in good condition but the near side rear tyre has damage/scoring to the inside. Mileage reads 133,797 but I am not sure if that is genuine or not. Sadly I have no paperwork or MOT documents with the vehicle but some information can be found on the DVLA website. I am currently in the process of finding out the military history, if anyone knows how to find this info please let me know! It has had many new parts fitted including battery, transfer box input gear and bearings, transfer box cover, front diff bearings, clutch release bearing, handbrake cable, handbrake drum parts, clutch plate, fan belt, rear brake shoes, 2 wheel cylinders on NSF, air filter and fresh oil in the engine, gearbox, transfer box and diffs. The number plates are in the military style with 3 rows of 2 digits but I think it is supposed to be 2 rows of 3 digits to be completely legal. The chassis seems to be in very good condition, it may have had a new chassis at some point in it's life. 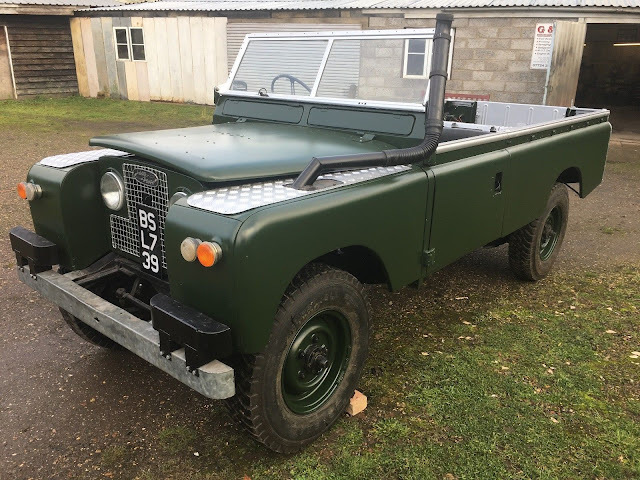 As this was bought as a project there were various parts missing and I have managed to source most of the parts but there might be the odd bit missing still, I'm not too familiar with Land Rover's so I'm not 100% sure of what might still be missing. I have not yet managed to get the engine running so I cannot guarantee that the engine is good. It cranks over, but slowly. I attempted to bump start it by towing it but found out that the clutch is not working. I have bled it but it still won't disengage. The brakes are spongy so there is a problem somewhere in the system. The wiring needs some attention, the loom is not connected to any of the front lights and I am not sure if it has a live feed to the lights. I'm not too mechanically minded but this might be an easy fix for the right person! Those are the main bits that need doing, then it needs the odd part being purchased such as the sill covers and wiper. A box of spare parts and nuts/bolts are included as well as the gearbox tunnel covers. This vehicle will need to be trailered away, it could be delivered locally at a cost. Cash on collection preferred but will also accept bank transfer. Any questions or to arrange a viewing just ask. Viewing is recommended to get a good idea of what work is left to do to finish the car. £200 goodwill deposit required within 24 hours of the auction ending.